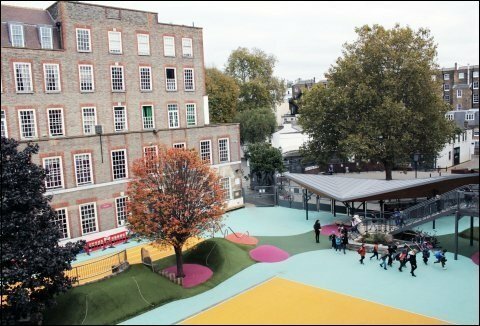 Located in South Kensington in the Victor Hugo building, this primary school welcomes 629 pupils this year (22 classes from Moyenne Section to CM2). 47 APL Class Rep represent all the parents (around a thousand) and work to establish relations between families and the APL and between families themselves. The APL Class rep meet once a month. “Parent Relais” is the mission of 39 APL class reps. These class reps’ role is to grow and maintain the good relationships between parents as well as to help the teachers who need it in the organisation of class events or outings. Their role is precious for the families and the school. “Parents élus” or “représentants des parents d’élèves au Conseil d’école” is the mission of 30 APL Class Rep (15 elected et 15 substitutes). These parents help in their class as a Parent Relais does but they also play a key role in representing families at the Conseil d’Ecole and on the day-to-day discussions with the school’s administration and headmistress. Do not hesitate to contact them. This network is coordinated by Nahema PUGET, Lamia MONCEAU, Elodie LANDOU-KITOUDI, and Sandie BELAICH members of the APL Committee. You can find their details in your member area. All new coming families receive an “APL Welcome Pack” giving them the school key dates and information about the association and its role. This guide also allows families to take part in the school life from the start of the school year. A Christmas musical goûter. The first edition was a great success and was organised by our “Event Committee”. Families loved it and we would like to thank the team which has made it possible ! The School end of the year fair. This fair is for the children only and is always loved by them.